I applied a magical filter to these photos because it felt so magical to me! As an Alice in Wonderland nut it couldn’t have been more perfect. 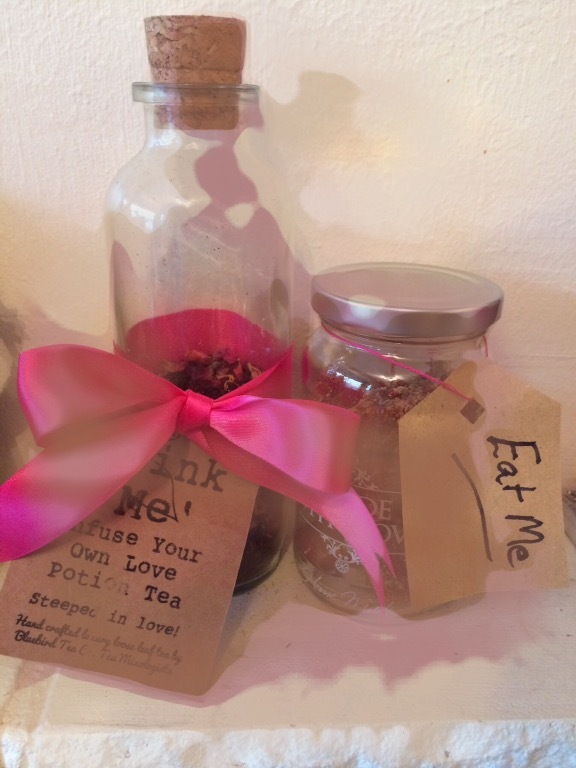 The gift?……..
A bottle of love potion tea from the tea wizards at Bluebird tea in Brighton, this black tea tastes like a dark chocolate rose cream. Next to it a jar of Valentines fudge from Brighton too, full of strawberry it was delicious! What did I do for this lovely man? 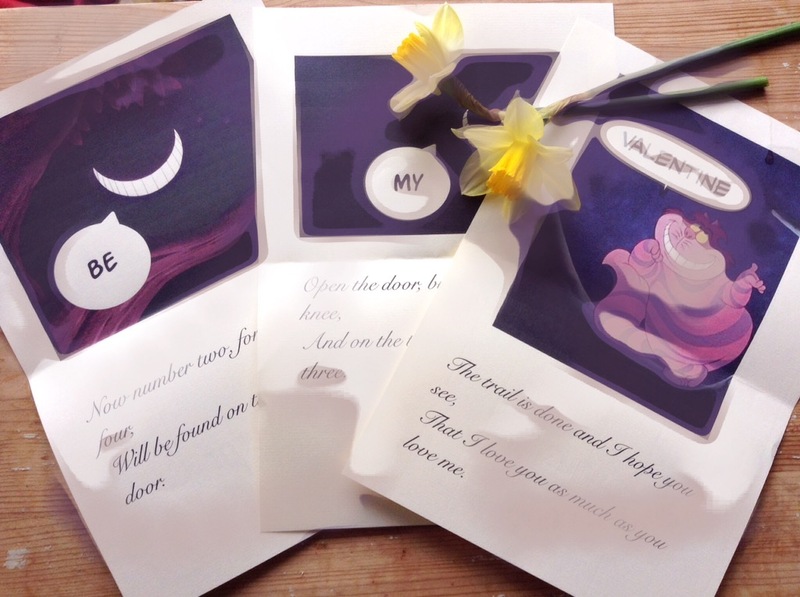 Hmmm… I really thought I had nailed Valentines with this comic themed card….. Pretty cool right? The gift was not so inspired, a comic that he had chosen himself. This is where we get to the point of this weeks post, what does love look like the other 364 days of the year? What do we do for each other that still says I love you and I care? 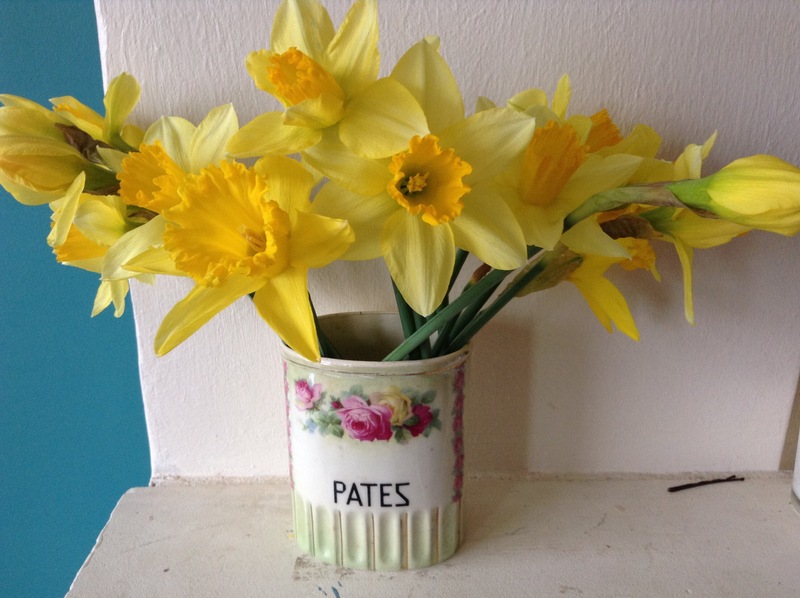 That lovely husband bought these home on Saturday when I was being tortured by arthritis………. 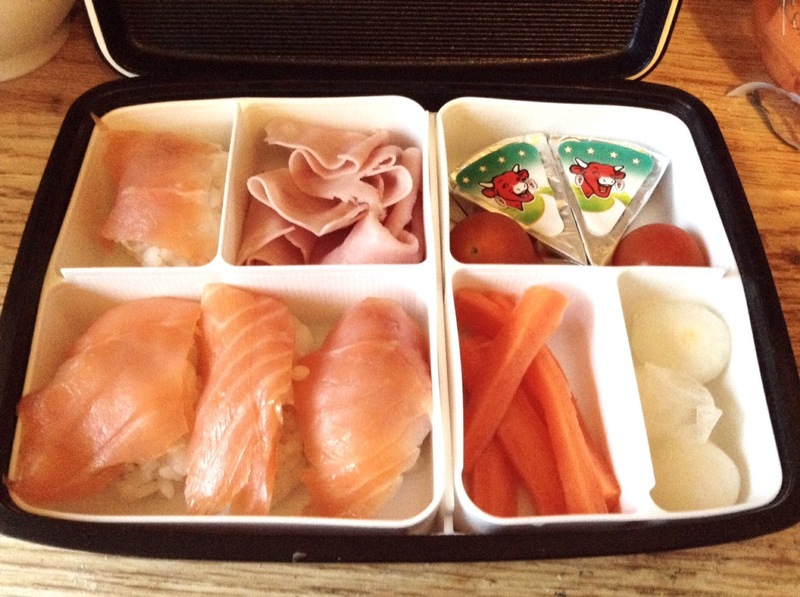 And this morning before 8, I made sushi and packed this bento box…..
Because when it come to love the devil really is in the details, its not found in the grand gestures or the expensive gifts, it is the small considerations often when you least feel like it, that show you care. I expect you have heard this at weddings “love is patient, love is kind etc,etc ” well actually a lot of the time love is shouty, love is moody and other things unrepeatable here. It is at those moments where we need to dig deep and demonstrate our love. So in the words of a lot of chat show hosts – be kind to one another, and next week I am hoping to have a great DIY for you. 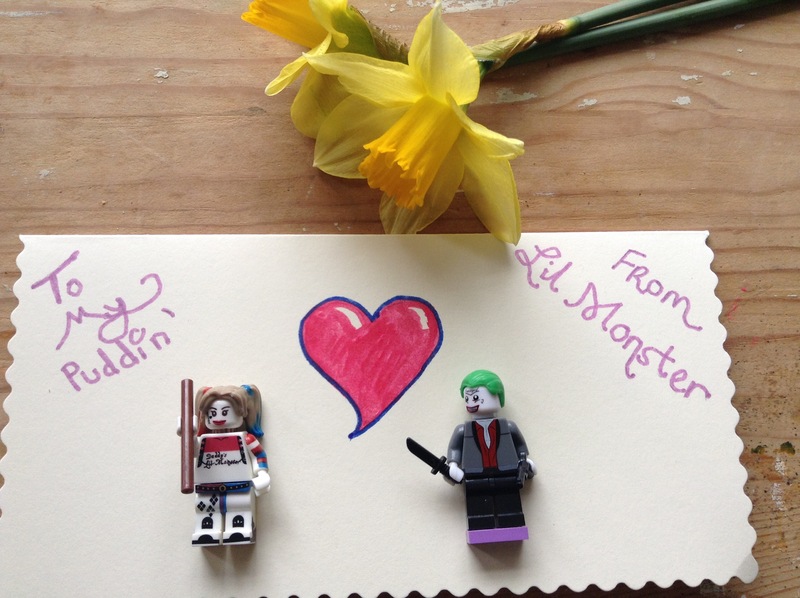 This entry was posted in Family,relationships, motivation, opinion and tagged daffodils, effort, fudge, Harley Quinn, love, relationships, sushi, tea, the joker, Valentines by karenlorenz. Bookmark the permalink.